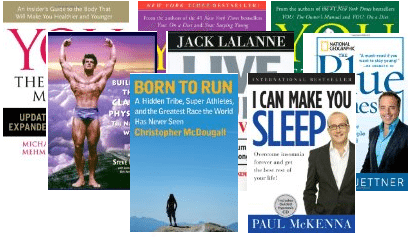 This is a list of my favorite and noteworthy fitness and health books. The focus of the health books and fitness books on this page is to help you get healthy, get in shape, get lean, and get strong. I put the bulk of this list into categories so that you can easily find the fitness and health books that might be relevant for your. You can also use the list to compare with your own library of health and fitness books.